Do you dare wield the legendary and nefarious Morgul-Blade of the Nazgul? 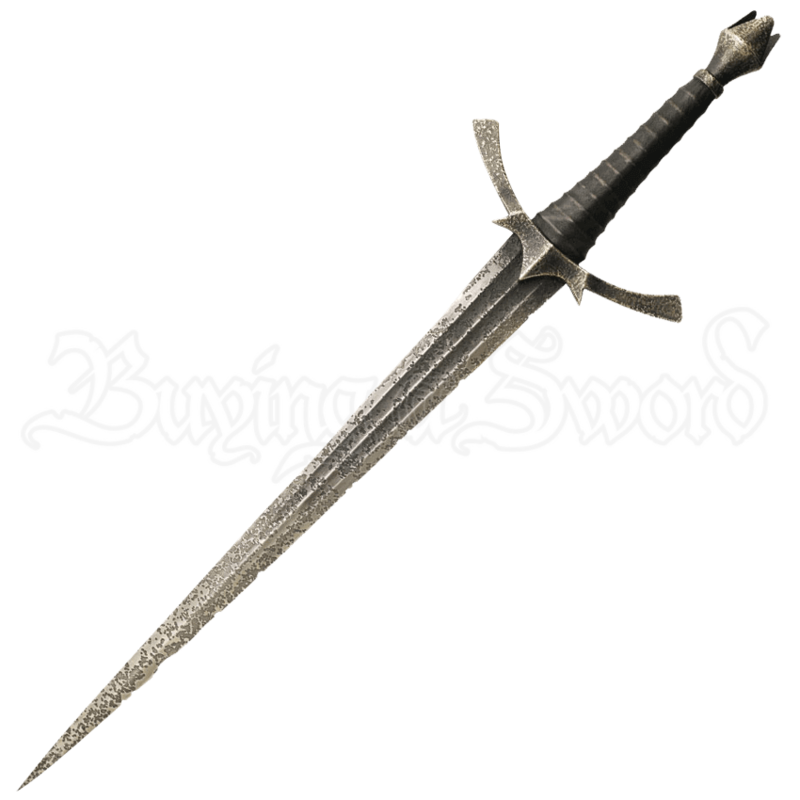 Tainted by the power of the Witch-King of Angmar, this knife offers a wicked blade and a dark curse for those who taste its pitted and aged blade. Based on the film prop most recently utilized in The Hobbit film, this impressive dagger is crafted entirely in AUS-6 stainless steel that has been authentically aged and battle worn via a distressed acid wash finish. The hilt is leather wrapped with solid-metal parts for the guard and pommel, and it includes a wooden display plaque. Laden with royal touches and backed by the crown of the Witch-King, this Morgul Blade of the Nazgul is a potent collectible that looks like it came from the film itself!